Physical fitness is one of the best ways to boost your mental health. 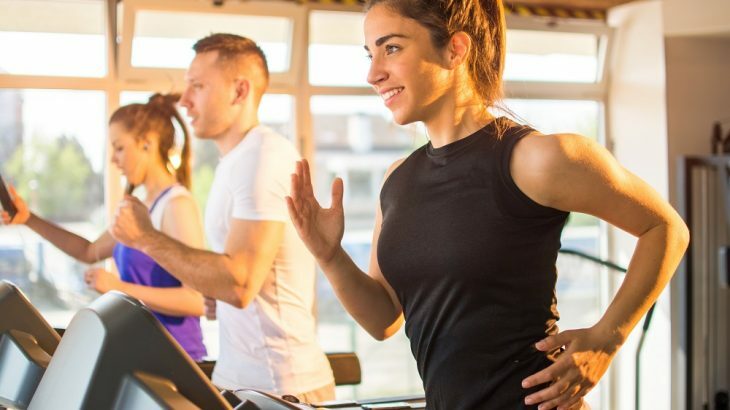 If you’re feeling anxious, stressed out, or depressed, group fitness classes in Phoenix, AZ, at Mountainside Fitness can give you the boost you need to feel better faster. For those with depression, it’s a good idea to incorporate exercise into your daily routine. Exercise fights depression symptoms by releasing endorphins, those powerful brain hormones that make you feel great and lift your spirit. Exercise can also be a great distraction — tiring your body out allows you to focus on the workout itself instead of floating away with your thoughts. This helps many people break out of difficult negative thought patterns. Whether you’re taking a barre class, a HIIT class, or one of the other group classes at one of Mountainside’s many fitness clubs in Phoenix, AZ, you’ll find that exercise boosts physical energy while relieving your stress. You see, physical fitness interrupts the flow of constant worrying. It gives you time to catch your breath even when you’re out of breath, literally. Everyone finds their mental energy tested from time to time, and when this happens, you have two choices: give in to the worry or find a way to fight back. Why not head to the gym and get in a great workout to relieve some stress? The hardships you’re facing might still be there when you leave the club, but after a good workout, you’ll be in a better position mentally to handle anything life throws at you. Have you ever noticed how your body reacts when you’re under stress? Many people don’t realize how much stress their body holds. When a person is stressed out, they tend to have tighter muscles, digestive issues, trouble sleeping, and a host of other physical symptoms. The good news is that it doesn’t have to be this way. Even if you can’t get rid of the situations causing the stress, you can help your body deal with the stressors better. One way to do this might be to take a yoga class, a dance class, or a weight lifting class. These classes and more are a wonderful way to improve your physical fitness while adding a mindful element to your day and allowing your body to heal itself. Taking care of your mental health is just as important as taking care of your physical health. If you’re feeling like your mental health is in a bit of a rut, consider seeing how a good workout makes you feel. If you’re looking for the best fitness center in Phoenix, AZ, with a variety of classes, flexible hours, and childcare, then stop into one of 17 Mountainside Fitness’s locations to learn more.